She was addicted to newness, to novelty and change and succumbed monthly to excess material gain. 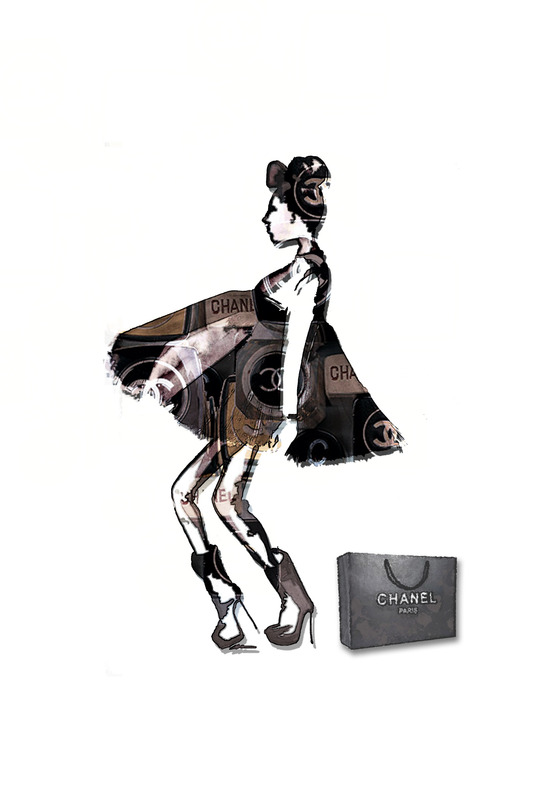 She hadn’t quite made it to the wonderland of Chanel, so psychologically she imitated a lifestyle sewn so well. At the top of the ladder that equated her success, she would intend only to be or at least dress as the best. Fashion and its folly were her greatest tools that aided her in the trickery of fools. The world understood the tacit language of mode and style, but this never stopped her tools from catapulting her miles. For Chanel she was undoubtedly a devotee and hoped that someday the Chanel woman she would be. Not because she loved the clothes, the cut or the materials, but in Chanel she could no longer be considered an inferior. For this she’d give up trends and impulsive spends, for being perceived without Chanel, after doing so swell, she’d imagine – would be – like living in hell. Sensational, and I’m so please to find your blog!